CANTON, MA (September 4, 2013) – To help kick off September in a “big” way, Dunkin’ Donuts, America’s all-day, everyday stop for coffee and baked goods, is toasting big appetites with the launch of the new Angus Steak Big N’ Toasted® breakfast sandwich. 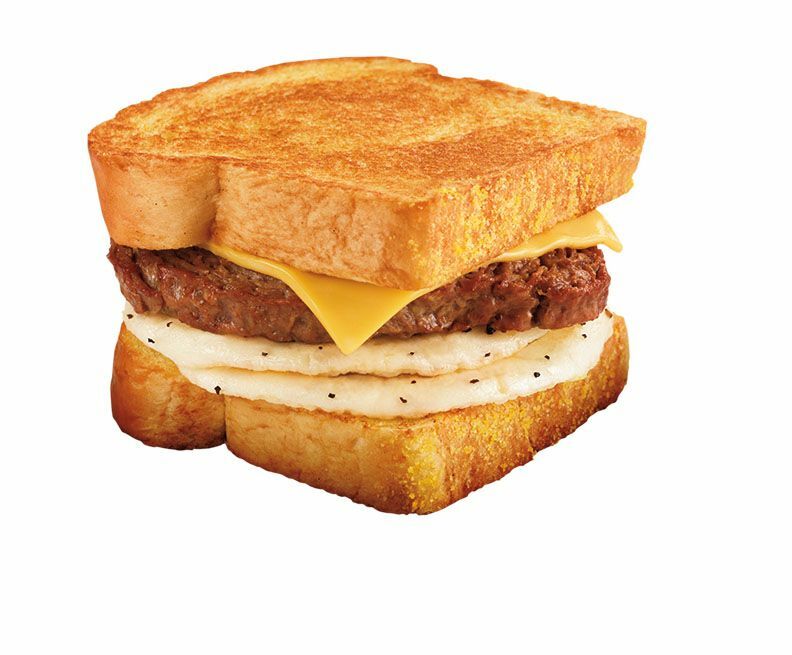 For guests seeking a satisfying breakfast on the go that is larger and heartier than the typical breakfast sandwich, the Angus Steak Big N’ Toasted sandwich features two eggs, juicy Angus steak and a slice of American cheese, packed between two thick slices of Texas Toast. The Angus Steak Big N’ Toasted sandwich is available at participating Dunkin’ Donuts restaurants nationwide for a limited time. Dunkin’ Donuts first introduced its original Big N’ Toasted Breakfast Sandwich in early 2011, and it quickly became one of the brand’s most popular menu items. The Angus Steak Big N’ Toasted is the latest in Dunkin’ Donuts’ full lineup of breakfast sandwiches, served fast and freshly-prepared, and available all day. With several choices featuring breakfast favorites such as smoked cherry wood bacon, aged cheddar cheese, freshly baked croissants, bagels or toasted English muffins, Dunkin’ Donuts provides delicious and satisfying options for guests to start the morning and keep running any time of day. September also marks the return of pumpkin food and beverages to Dunkin’ Donuts’ menu. The brand this week announced that fall favorites are back at Dunkin’ Donuts, including pumpkin coffees, lattes, donuts, muffins and more. This season Dunkin’ Donuts has also introduced a new Pumpkin Pie Donut and new Frozen Pumpkin Coffee Coolatta®. The full autumn array of fall treats is available at participating Dunkin’ Donuts restaurants for a limited time. Finally, this month Dunkin’ Donuts guests who purchase a Box O’ Joe® at regular price can receive a free 25-count box of Munchkins® donut hole treats. The offer is available only through the “My Offers” tab of the Dunkin’ App, the brand’s app for mobile payment and gifting, enabling guests to pay for food, beverages and merchandise at participating U.S. Dunkin’ Donuts restaurants by scanning their Dunkin' Donuts Cards stored in the app either in-store or at the drive-thru. Guests can also enjoy mobile offers via the My Offers tab, where they can receive exclusive, geo-targeted regional discounts and promotional offers for Dunkin’ Donuts’ famous coffee and other favorite menu items. The Dunkin’ App is available for free from the App Store on iPhone or iPod touch or at www.itunes.com/appstore and from the Google Play Store at https://play.google.com/store.